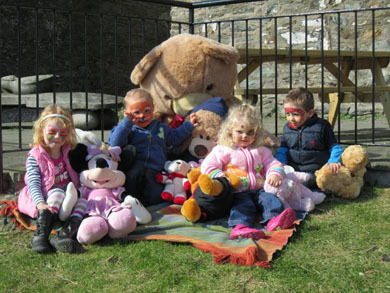 OVER 80 children enjoyed a traditional Teddy Bears’ picnic in Portaferry on bank holiday Monday this year (6 May). Local children in Portaferry enjoying the teddy bear picnic. Held in the picturesque grounds of Portaferry Castle, the picnic saw local children enjoy face painting, teddy craft, and a bear hunt, along with a feast of traditional picnic treats. 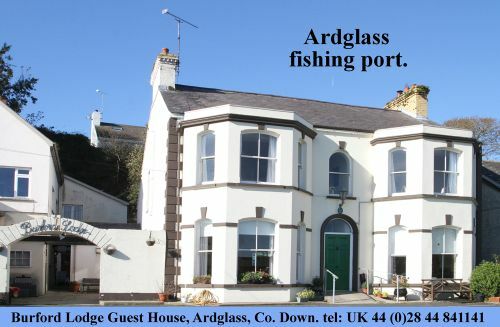 The event was organised by Ards Borough Council. A brainchild of the Council’s Tourism Service, the quirky event provided families with something novel to entertain children on the bank holiday whilst taking parents for a trip down memory lane, as they recalled a favourite childhood activity. The picnic was a huge success as Tourist Information Centre Supervisor Judith Hammond said: “It can be difficult for families to think of something new to do on bank holidays so we decided to host a teddy bears’ picnic to entertain local children and the event proved to be a huge success with over 80 children and their families taking part in the different activities that were on offer, from crafts, to face painting, to a bear hunt to locate the bears hidden around the castle grounds.